Florida Book News: Prodigious Savant and Deviant Acts by JJ White have been acquired by Black Opal Books! Prodigious Savant and Deviant Acts by JJ White have been acquired by Black Opal Books! There are fewer than one hundred reported cases of prodigious savants in the world. Those few who possess the savant syndrome all have an island of brilliance that allows them to excel in some remarkable talent. Unfortunately, they all share various developmental disabilities; some bizarre, others violent. In 1962 Vermont, seventeen-year-old Gavin Weaver survives a horrendous explosion, six hours of brain surgery, and thirty days in a coma, to awaken possessing not just one savant talent, but several: art, music, mathematics, and memory, and all without suffering any of the usual mental disabilities associated with head trauma…except one issue he keeps hidden from all. His newly acquired abilities thrust him into the public eye as the amazing ‘Whiz Kid’ from Burlington; a moniker he detests. His genius, paranoia, and increased hallucinations result in some strange and extraordinary encounters with the icons of the ‘60s, including Bobby Fischer, Nikita Khrushchev, Edward R. Murrow, John Chancellor and even a tragic meeting with John Fitzgerald Kennedy. He also catches the eye of a neurologist who is unique in his own right, and is most interested in the young man’s brain — for many reasons. Gavin’s odds are slim that he will survive not only his external trials but also his inner conflicts; keeping him from the one thing he desires most, the girl he’s loved since childhood. Jackson is living his nightmares even when his eyes are open. Addicted to heroin since Vietnam, it is the only thing that tends to keep the horror at bay. Besides killing him slowly, it has cost him his job. Living with his mother, in the same home he grew up in, he is now stealing from her and his neighbors for a fix, his girlfriend since grade school has dumped him and the only means of transportation is a beat-up bike. Is there a word for lower than low? Then his rich aunt from Vermont calls requiring his “services”. Cheryl, his so-called cousin, has been kidnapped and is being held for ransom. Auntie wants her back no matter what it costs, and she wants them all dead. Can Jackson kill again? Can he stay straight long enough to get her back? Nothing is what it seems. White has written over two hundred short stories, had articles and stories published in several anthologies and magazines including, Wordsmith, The Homestead Review, The Seven Hills Review and The Grey Sparrow Journal. “The Nine Hole League” is scheduled to be published in the Sherlock Holmes Mystery Magazine, Volume 14. 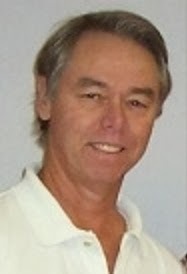 He has won awards and honors from the Alabama Writers Conclave, Writers-Editors International, Maryland Writers Association, The Royal Palm Literary Awards, Professional Writers of Prescott, and Writer’s Digest. He was recently nominated for the Pushcart Prize for his short piece in The Grey Sparrow Journal.